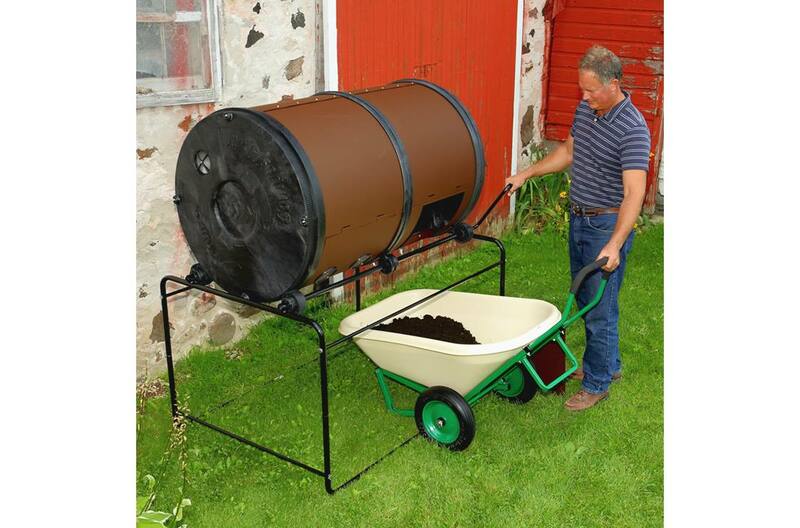 The ComposT-Twin drum is 32 inches off-the-ground for easy loading and unloading directly into a wheelbarrow or garden cart. The easy-crank handle and gear mechanisms turn both drums simultaneously; even when fully loaded! 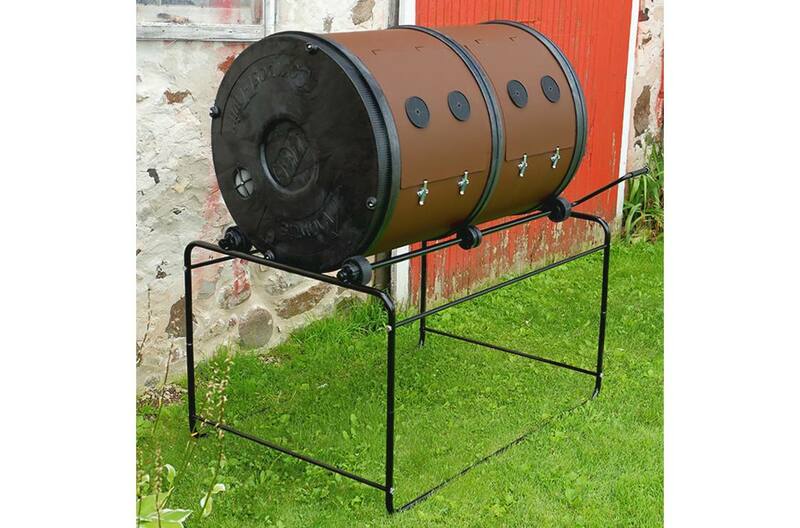 Make twice the compost in less time with the Mantis ComposT-Twin! Engineered to Make High-Quality Compost – Fast & Easy: Aerator vents on each door allow oxygen into the composter and allow excess moisture to drain; collect that for “compost tea”. Vented end caps create proper air flow and moisture control allowing for faster decomposition and proper drainage. Interior “fins” mix the materials as the compost tumbler is rotated. 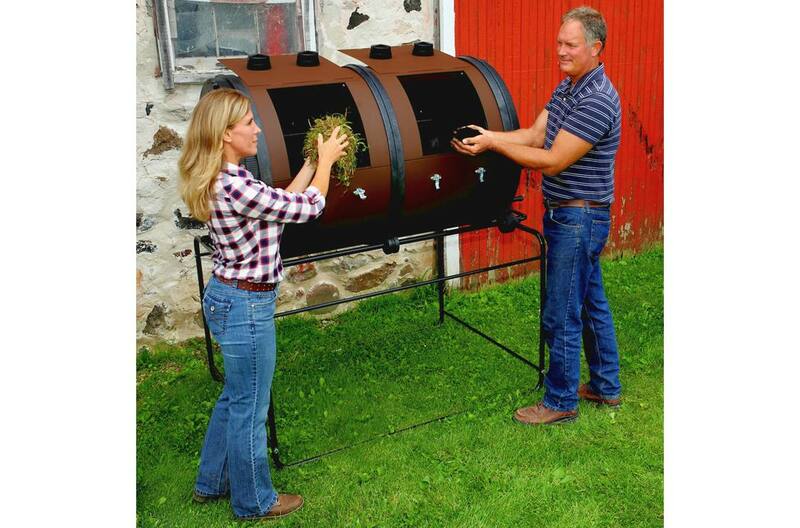 No more messy, unsightly looking compost bin in your backyard. No odors wafting over to your neighbor’s porch: The Mantis Compost-Twin design keeps rodents, pests, and other wildlife out, while keeping odors under control. Twin latches on each door ensure the contents stay inside the rotating composter while turning. 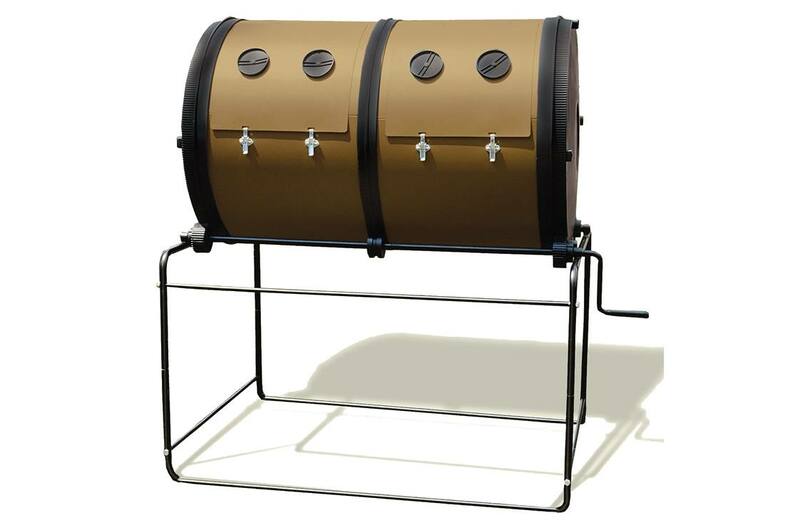 The Ergonomic and Easy-to-Turn Two-Bin Rotating Composter: The ComposT-Twin’s gear-driven handle makes turning the compost almost effortless. Sitting 32” off the ground on the sturdy, tubular frame, loading and unloading the compost into a wheelbarrow or garden cart is no longer back-breaking work. Capacity: 12 cu. ft. in each side. Two 10-bushel capacity bins (186 gal. total) for composting. Each side holds approximately three 30 gal. trash bags of material. Drum Material: Non-toxic powder-coated galvannealed steel, rust-resistant. End caps and divider made from BPA-free, food grade plastic.